Mini Displayport™ to HDMI® Adapter, M/F, 1080p is rated 1.9 out of 5 by 11. Easily connect your Mini DisplayPort-enabled devices to HDTVs and HDMI monitors with the Mini DisplayPort to HDMI Adapter. 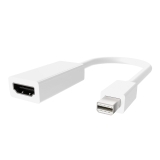 This male Mini DisplayPort to female HDMI adapter allows you to instantly stream high-quality video and audio from laptops, desktops and tablets that have a Mini DisplayPort output to your HDMI television or computer monitor using a separate HDMI cable (not included). This Mini DisplayPort HDMI adapter supports 1080p high-definition resolution on HDTVs (1920 x 1080 pixels) as well as transmitting HD audio signals for an all-in-one A/V solution. 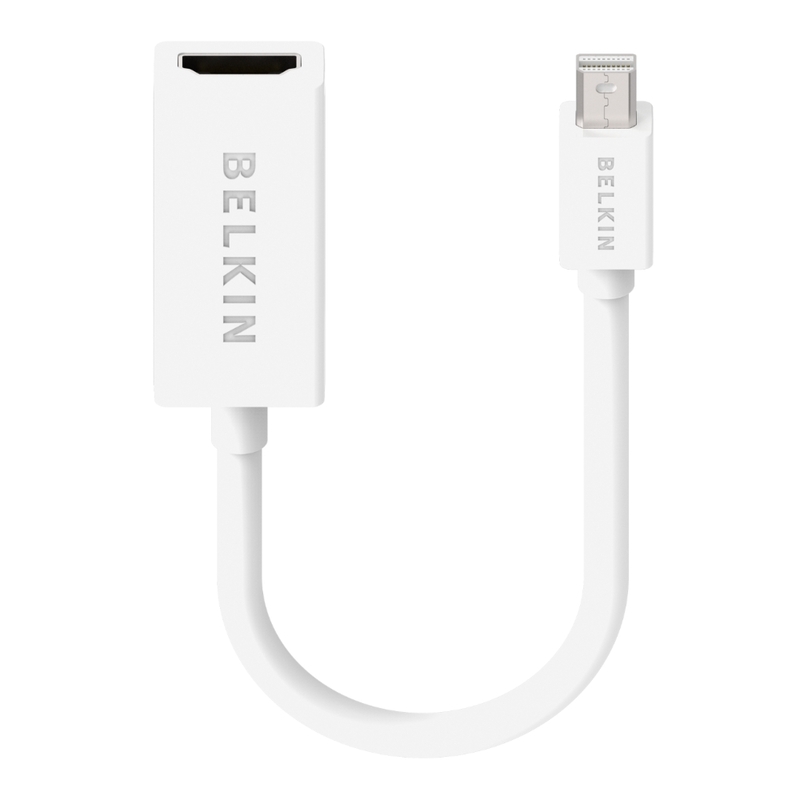 It is compatible with Passive / DP++ / Dual-mode Mini DisplayPorts on Mac and PC, as well as Thunderbolt™ ports on Mac. 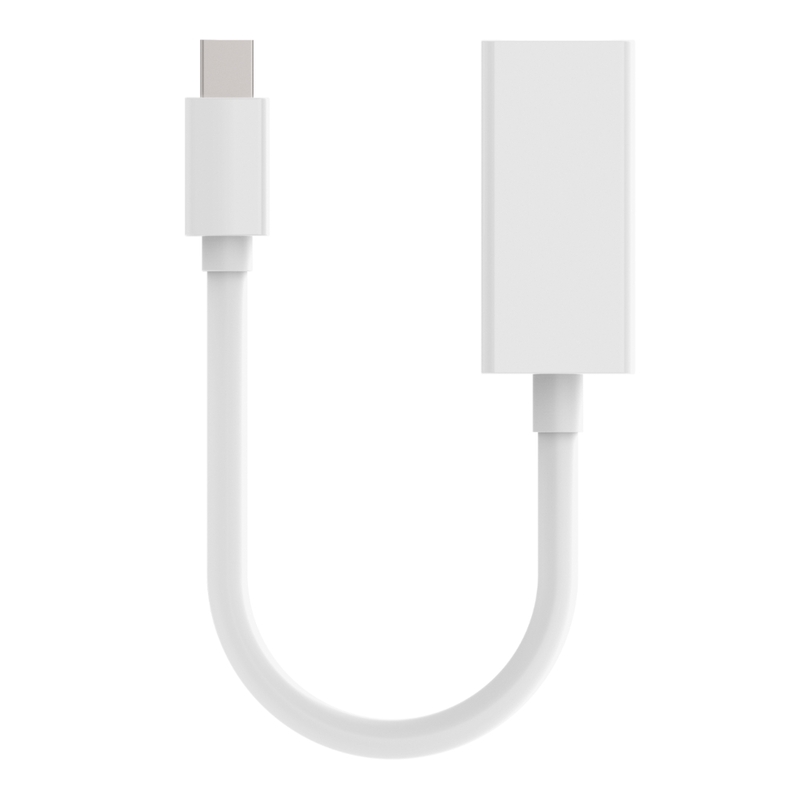 Developed to be the next-generation personal computer display interface, this Mini DisplayPort to HDMI adapter lets you enjoy your media with extreme refresh rates, intense color depths and the highest resolution possible. This scalable technology was designed to grow with evolving A/V innovations while staying compatible with existing formats like VGA, DVI and HDMI. Seamless plug-and-play capability makes this adapter ideal for quick media sharing in any setting. Use this adapter to watch movies from your laptop on the HDTV in the living room, share photos for everyone to see on the big screen or give presentations at the office. Rated 1 out of 5 by notachancegp from Did not work out of box Purchased these recently, and took out of box to connect Mac Air to projector for important Skype session - did not work. Tried a second adapter, and no luck either. Very disappointed. 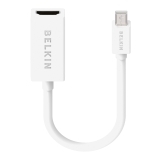 Will try and contact your Belkin Cares email address to see what can be done. Rated 1 out of 5 by MStuart from Never Worked I ordered mine from amazon from Belkin themselves and was very excited to get it as soon as I used it, it didn't work. It still hasn't worked with my MacBook Air and hasn't worked with another computers I have tried. Rated 4 out of 5 by inradri from picture is sharp, pixel packed, and fast enough Found this adapter when I was looking for a male/male mini Display Port to Display Port cable. First few tests are promising, there is little to no screen tearing, brightness does not drop at any point, but need a few more days to get a sense of how consistent this works across media. 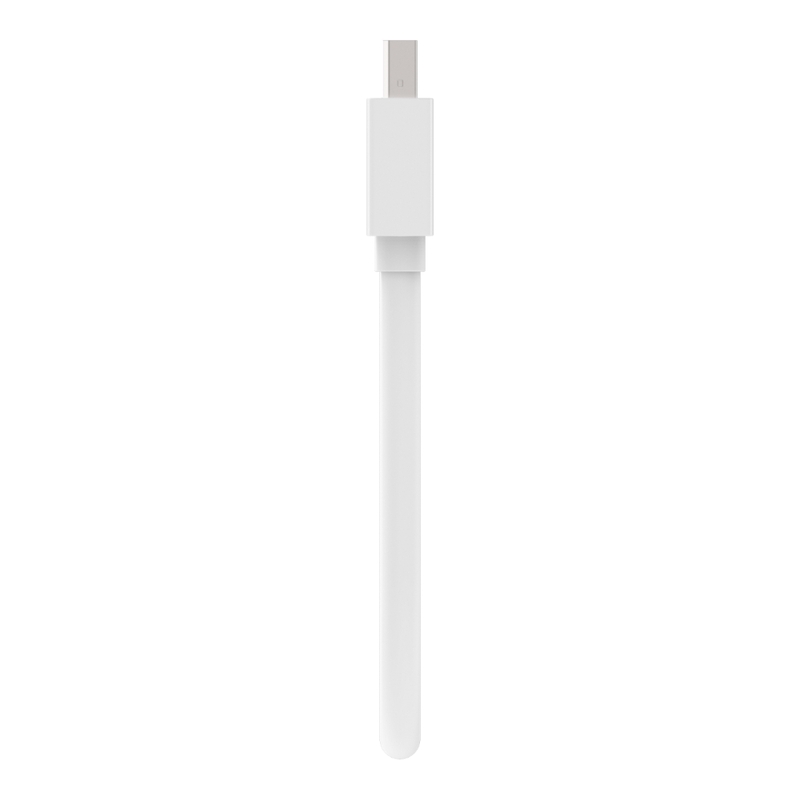 Please make a mini Display Port to Display Port cable soon! Rated 1 out of 5 by SaraAlissa from Disappointed only lasted 3 months I bought this product back in May from the Apple Store to use with my MacBook Air I purchased at the same time. 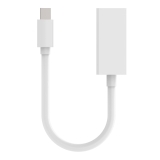 The adapter worked fine at first then started working only intermittently and then stopped altogether. I thought it might be the HDMI cable itself since it was older than the adapter, so I bought a new one and the adapter still wouldn't work. It worked fine when it did work but should have lasted longer than 3 months. 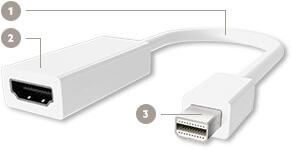 Rated 1 out of 5 by Consumer from Mini Displayport to HDMI adapter Stopped working after a few months. Definitely poor quality product. Tested with a different model adapter and signal transfers from macbook Air to monitor with ease. I initially thought it was the HDMI cable but not the case here. Rated 1 out of 5 by jaym from Lasted < 10 months I bought this last August and now it doesn't work. Waste of money. Rated 2 out of 5 by Patricia from Good while it worked Purchased from tha Apple Store as wanted to ensure was getting a quality product, but it stopped working after 7 months. Very disappointed.